"Almost as if they knew they were finally safe and no longer prisoners." Tulip and Violet are 5 or 6 years old and have spent most of their lives in the wire cages of a puppy mill, producing litter after litter of expensive puppies to be sold in pet stores and online. 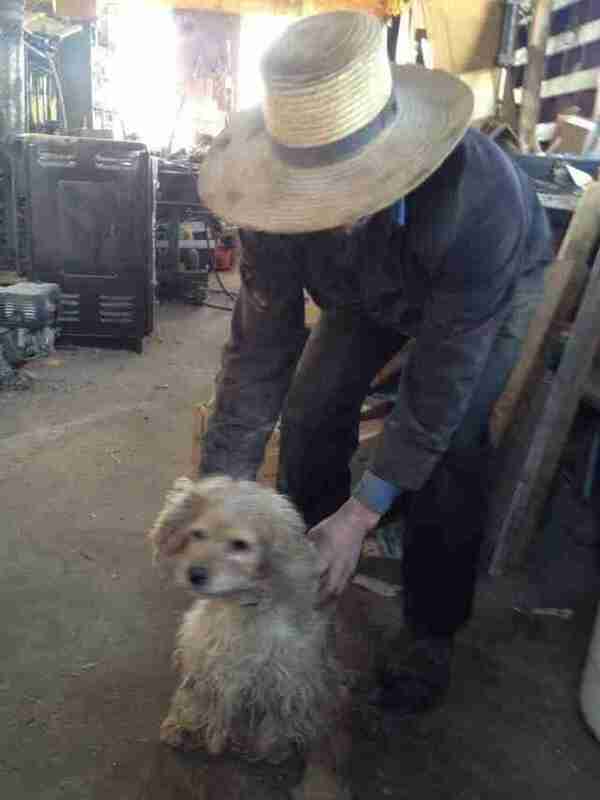 Last Thursday, they were freed from this cruel life, along with two other dogs. Their first stop, once they were released from the cages, was a veterinary clinic - where Tulip and Violet comforted each other in the waiting room. "Almost as if they knew they were finally safe and no longer prisoners," Renee Martini, founder of the Delaware-based nonprofit Renee's Rescues, tells The Dodo. "I truly believe all living beings are capable of having empathy and an emotional connection." 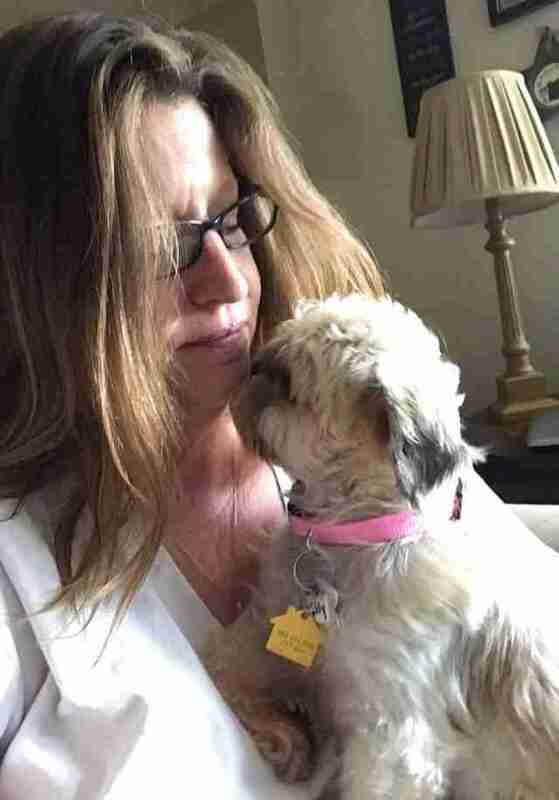 On the day of Tulip and Violet's rescue, Martini's co-rescuer Cecilia DiPrima had gone to yet another puppy mill. Wearing a disguise, as usual, she told the puppy mill's owner her name was "L."
The story DePrima and Martini most often give to breeders is that they supply dogs to medical testing laboratories, and offer a small amount of money - $20-40, typically - for the dogs who could no longer produce puppies. These are dogs who would likely have been killed, since they were no longer useful to the puppy mill, if Martini or DiPrima didn't take them away. "No questions asked. All cash transactions," Martini says. Martini's group has gotten some 300 dogs in this manner over the last five years - mainly from large-scale commercial breeders in Pennsylvania. These are breeders who, Martini says, often won't let rescuers simply take their unwanted dogs and put them up for adoption, not wanting to draw attention to the conditions of their kennels and of their industry. "They fear they will be outed for cruelty and negligence in [their] standard of care," she says. This time, the breeder was willing to give the dogs away for free. "Cecilia just says she will find homes for them to retire out but that is not the norm," says Martini. 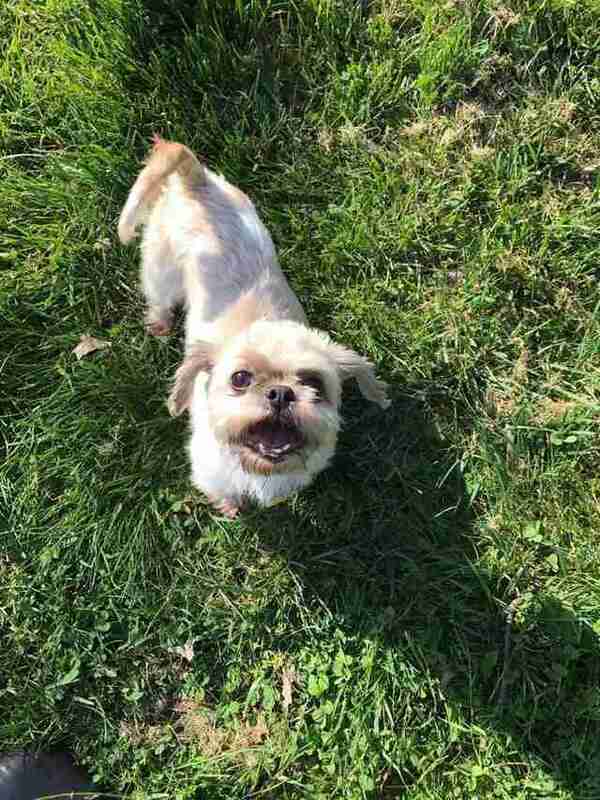 DiPrima was able to take four female dogs - Lily, Tulip, Violet and Rose; a shih tzu, a bichon frise and two Yorkshire terriers, respectively - who'd "spent their lives just being bred. They lived in a wire enclosure," Martini says. The dogs have a host of health problems that are being treated. 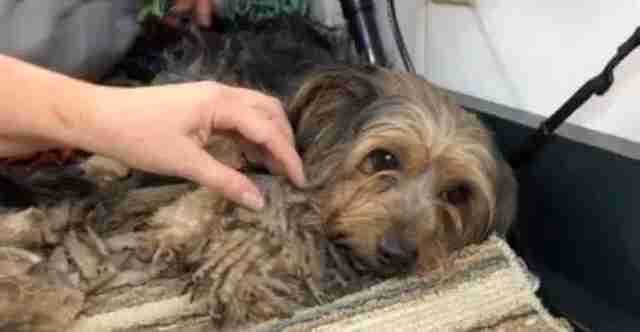 Severe matting, bad teeth, ear infections - but nothing that they can't overcome. 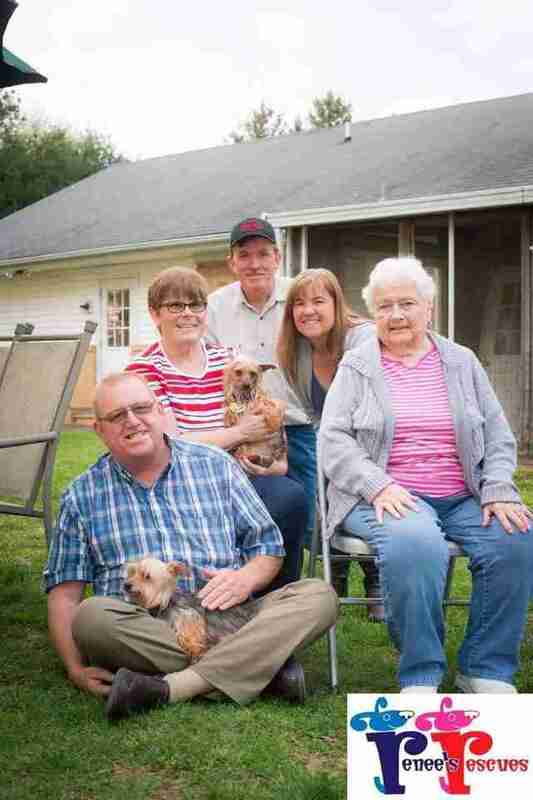 The medical care is just one part of saving these puppy mill dogs. They are animals who haven't had many good experiences with humans before. It can sometimes take a long time for them to show signs of trusting the new people in their lives. These four went to foster homes. Within 24 hours, Martini says, three had begun to come out of their shells - wagging their tails, asking to be pet. 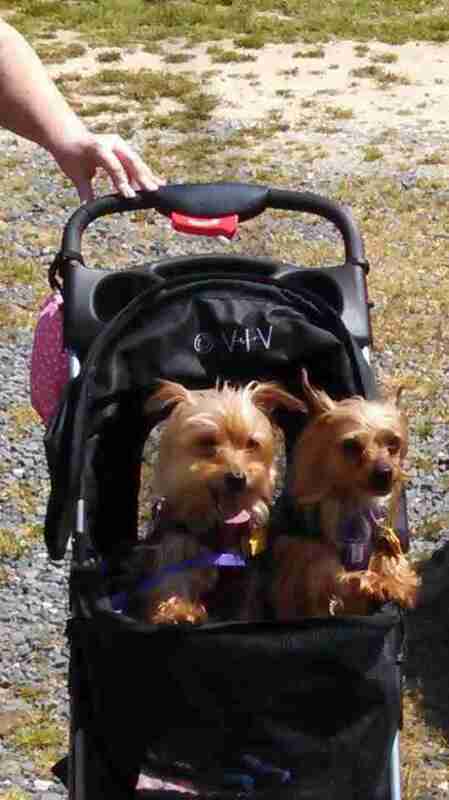 The two Yorkies - Violet and Rose - have even been adopted already, by a family who "felt it was fate" because their dog, another Yorkie, died a year ago. "These girls," Martini says, "have mended their hearts." 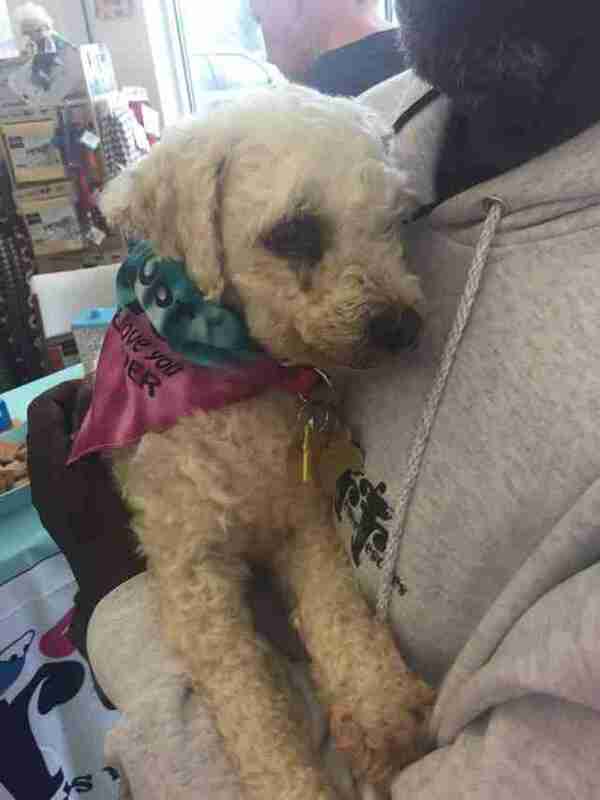 Tulip, the bichon frise who comforted her fellow rescue in the vet's waiting room, is taking a little longer. She still seems terrified by new noises, and smells, and people she's exposed to - everything that isn't the inside of the wire cage where she lived for half a decade. It's likely to be a long, slow process of helping her feel safe, since the "emotional scars are deep," says Martini - who has been doing this long enough to know that Tulip will get there, with love, a peaceful environment, patience and time. "She just needs to be given a chance at this new life," Martini says. "It's heartbreaking but rewarding to take them on this journey. You get to show them this whole new world." Correction: A previous version of this story stated that the rescuers paid the breeder for the dogs. In this case, they were able to take them for free.